All radiographers learn in school why radiation is dangerous to a pregnant patient’s fetus, and that it’s very important to screen for pregnant patients allowing the physician to be informed that there is a risk. Likewise, if you are working as a radiologic technologist, and you get pregnant, it is normal to have some concern about the harmful effects of radiation reaching your baby. Do X-ray techs need pregnancy precautions? Even though the evidence overwhelmingly suggests that a radiographer can continue to safely perform their job without risk to the fetus as long as policies and guidelines are followed, every radiographer should review what the potential effects are. Because of the increased health risks to the rapidly developing embryo and fetus, pregnant women can receive no more than 0.5 rem during the entire gestation period. This is 10% of the dose limit that normally applies to radiation workers. Persons under the age of 18 years are also limited to 0.5rem/year. Restricting dose to the conceptus does not mean that it is necessary for pregnant women to avoid work with radiation or radioactive materials completely, or that they must be prevented from entering or working in designated radiation areas. It does, however, imply that the employer should carefully review the exposure conditions of pregnant women. In particular, their working conditions should be such that the probability of high accidental doses and radionuclide intakes is insignificant. When a medical radiation worker is known to be pregnant, there are three options that are often considered in medical radiation facilities: 1) no change in assigned working duties; 2) change to another area where the radiation exposure may be lower; or 3) change to a job that has essentially no radiation exposure. There is no single correct answer for all situations, and in certain countries there may even be specific regulations. It is desirable to have a discussion with the employee. The worker should be informed of the potential risks, local policies, and recommended dose limits. Change to a position where there is no radiation exposure is sometimes requested by pregnant workers who realize that risks may be small but do not wish to accept any increased risk. The employer may also arrange for this in order to avoid future difficulties in case the employee delivers a child with a spontaneous congenital abnormality (which occurs at a rate of about 3 in every 100 births). This approach is not required on a radiation protection basis, and it obviously depends on the facility being sufficiently large and flexibility to easily fill the vacated position. Changing to a position that may have lower ambient exposure is also a possibility. 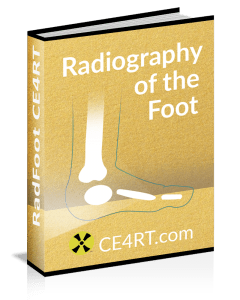 In diagnostic radiology, this may involve transferring a technician from fluoroscopy to CT scanning or some other area where there is less scattered radiation to workers. In nuclear medicine departments, a pregnant technician can be restricted from spending a lot of time in the radiopharmacy or working with radioiodine solutions. In radiotherapy with sealed sources, pregnant technicians or nurses might not participate in manual brachytherapy. An ethical consideration is involved in both of these last two alternatives since another worker will have to incur additional radiation exposure because a co-worker became pregnant. There are many situations in which the worker wishes to continue doing the same job, or the employer may depend on her to continue in the same job in order to maintain the level of patient care that the work unit is customarily able to provide. From a radiation protection point of view, this is perfectly acceptable providing the fetal dose can be reasonably accurately estimated and falls within the recommended limit of 1 mGy fetal dose after the pregnancy is declared. It would be reasonable to evaluate the work environment in order to provide assurance that high-dose accidents are unlikely. The recommended dose limit applies to the fetal dose and it is not directly comparable to the dose measured on a personal dosimeter. A personal dosimeter worn by diagnostic radiology workers may overestimate fetal dose by about a factor of 10 or more. If the dosimeter has been worn outside a lead apron, the measured dose is likely to be about 100 times higher than the fetal dose. Workers in nuclear medicine and radiation therapy usually do not wear lead aprons and are exposed to higher photon energies. In spite of this, fetal doses are not likely to exceed 25 percent of the personal dosimeter measurement. Finally, factors other than radiation exposure should be considered in evaluating pregnant workers’ activities. In a medical setting there are often requirements for lifting patients and for stooping or bending. The potential noncancer health risks of concern are summarized in This table, adapted from the US CDC. The indicated doses and times post conception, or gestational age, are approximations. Before about 2 weeks gestation (i.e., the time after conception), the health effect of concern from an exposure of > 0.1 gray (Gy) or 10 rads is the death of the embryo. If the embryo survives, however, radiation-induced noncancer health effects are unlikely, no matter what the radiation dose. Because the embryo is made up of only a few cells, damage to one cell, the progenitor of many other cells, can cause the death of the embryo, and the blastocyst will fail to implant in the uterus. Embryos that survive, however, will exhibit few congenital abnormalities. Radiation may significantly affect brain development among persons exposed at 8–15 weeks’ gestation. Atomic bomb survivor data indicate that, in this stage, the average IQ loss is approximately 25–31 points per Gy (per 100 rads) above 0.1 Gy (10 rads), and the risk for severe mental retardation is approximately 40% per Gy (per 100 rads), above 0.1 Gy (10 rads). For studies of the atomic bomb victims, severe mental retardation was related not to IQ, but to clinical observation: “unable to perform simple calculations, to make simple conversation, to care for himself or herself, or if he or she was completely unmanageable or had been institutionalized”. This corresponds to an IQ less than 50 (0.4% prevalence in the unexposed population). 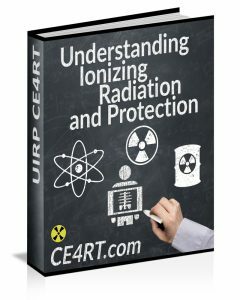 The CDC concludes that fetal sensitivity to radiation-induced health effects is highly dependent on fetal dose, and the mother’s abdomen provides some protection from external sources of ionizing radiation. In addition, noncancer health effects depend on gestational age.